To protect the rights of children with disabilities. IDEA ensures students with disabilities have access to a free and appropriate public education (FAPE), just like all other children. Schools are required to provide special education in the least restrictive environment. That means schools must teach students with disabilities in general education classroom whenever possible. To give parents a voice in their child’s education. Under IDEA, you have a say in the educational decisions the school makes about your child. At every point of the process, the law gives you specific rights and protections. These are called procedural safeguards. 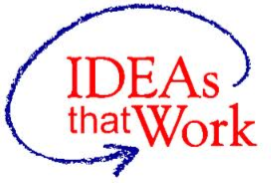 IDEA covers kids from infancy through high school graduation or age 21 (whichever comes first). As of 2012, about 5.8 million school-age children in the United States receive special education services as a result of IDEA. More than 40 percent—roughly 2.3 million—are students identified with a specific learning disability. If, for instance, a student has ADHD but is doing well in school, he might not be covered by IDEA. Kids who aren’t eligible for support under IDEA might still be eligible for support under another law called Section 504 of the Rehabilitation Act. A 504 plan can provide accommodations to help kids in school. The school should conduct a thorough evaluation if it suspects a child has a disability. The evaluation not only determines if a student has a disability. It also sheds light on what services and support that student might need. Find out how the evaluation process works. If an evaluation shows that a student is eligible for special education, parents work with a school team to develop an Individualized Education Program (IEP). An IEP is a legal document that spells out a child’s educational goals, disabilities and the services and support that the school will provide. You are your child’s most important advocate. IDEA gives you an equal say in decisions about your child’s education. A number of procedural safeguards protect your rights. Try not to get discouraged if the process seems complex. Little by little, you can learn more about your child’s rights. Consider talking to other parents in your community. Their experience can help guide you. You can also talk to one of our parent mentors.